The Academy provides online classes that replace a quarter of language arts, history, science or math curriculum in over 75 districts across Wisconsin. 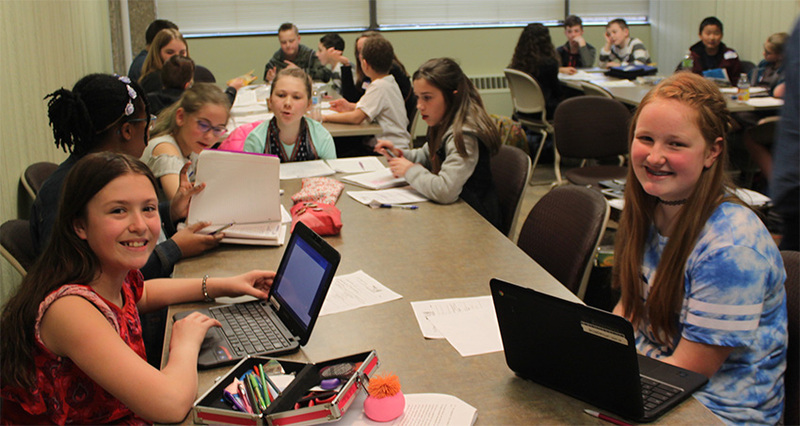 Academy Challenges are anchored in complex, real-world problems that students explore by discussing big questions, reading fiction and non-fiction text, writing persuasive, informative and creative works and interacting with other eager minds. Often the highlight of the course, students also participate in face-to-face meetings with their teachers and other classmates where they build community and participate in hands-on explorations. 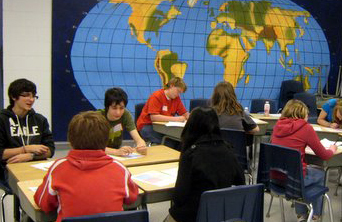 Students also participate in face-to-face meetings with their teachers and other classmates where they build community and participate in hands-on explorations. Our instructors typically spend eight to ten hours in each class every week providing regular and personalized feedback. Typically Academy students are in the top 5% of a school’s population. Areas in which Academy students are most often identified as high-ability include academics, creativity, and leadership. Students are nominated by school personnel to participate in the MPS Academy. • Balance Time and Challenge: Self-motivation, follow-through, and time management are key. Activities are designed to replace five hours of class work weekly and often require homework. • Understand Their Own Process: Retention of content is a happy side effect of our process-driven approach. Successful students openly articulate their learning process, recognize they are not always correct, and continue to respectfully and constructively ask questions. • Effectively Communicate: In an online setting, written communication expands beyond the realm of formal papers and becomes the tool through which students articulate their position, share personal stories, build consensus, and deviate from the norm. Successful students write continuously, incorporating logic, research, or personal stories as support.